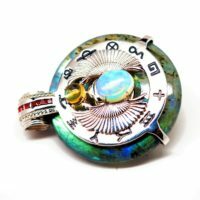 Lustrous greens dominate this one-of-a-kind rainbow labradorite, while a melding of glorious golds and blues brings out the incredible radiance and flash of the Ethiopian Welo opal body of this Scarab Egyptian Amulet. 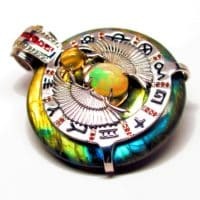 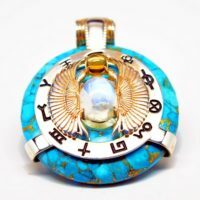 Align with your highest purpose and soak in the information of the cosmos by programming your scarab amulet to become your earthly and heavenly guide. 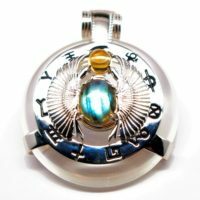 The ancients considered the scarab beetle to be a symbol of eternity, a protector and a restorer of life that can be called upon for spiritual illumination and protection from negative energies. 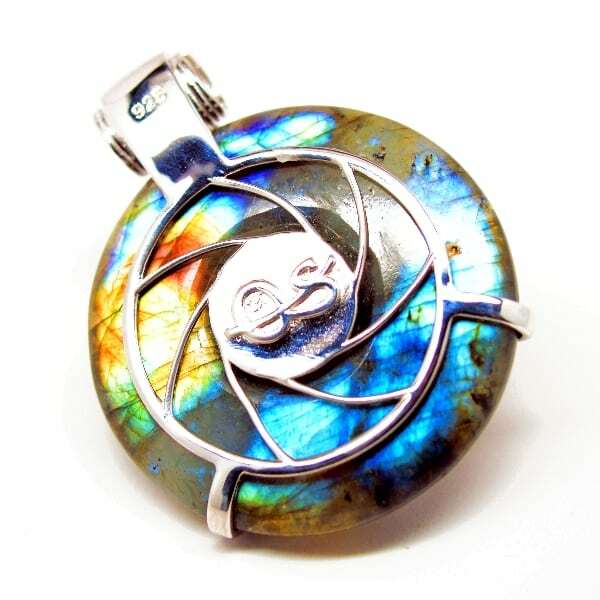 Our design team believes that the use of rainbow labradorite, opal, garnets, citrine and white topaz is a transformational combination that makes this pendant an ideal tool for mind, body and spirit expansion. 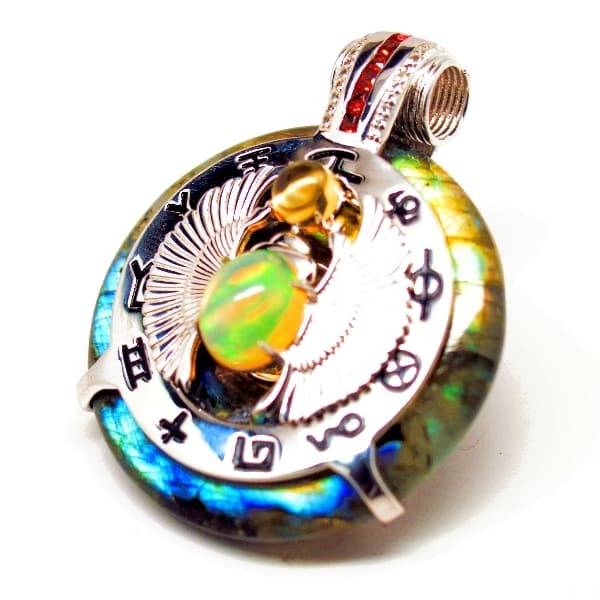 Rainbow labradorite is a reflective stone often used by those seeking a greater sense of oneness with higher realms and to tap into divine knowledge. 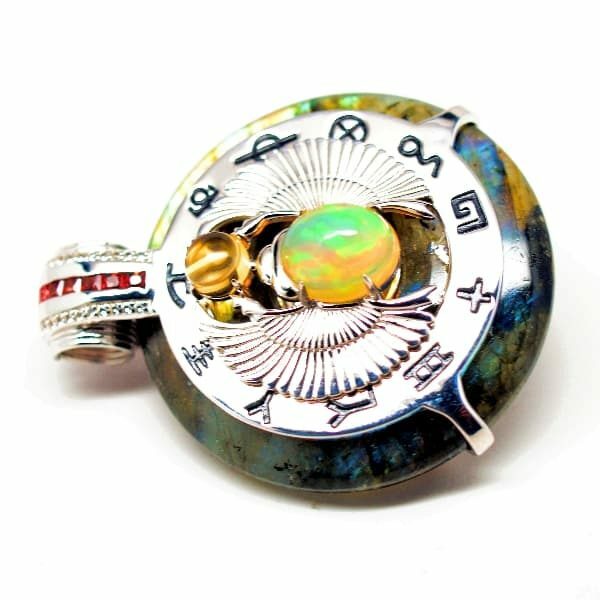 Opals are favored by those seeking to fade into the background at will and workers of the light and dark looking to cleanse past issues and restore their inner flame. 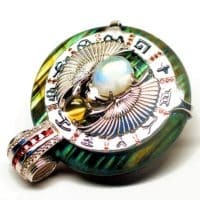 Citrine crystals promote creativity, harmony and fortune, while the white topaz and garnets upon the bail help cleanse psychic smog and negative energies that inhibit spiritual growth and cosmic wisdom. 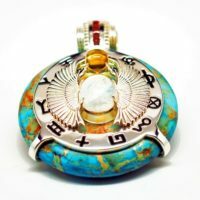 This mesmerizing pendant is fully reversible and features a powerful healing magnet tucked away in the barrel behind the scarab’s opal body. 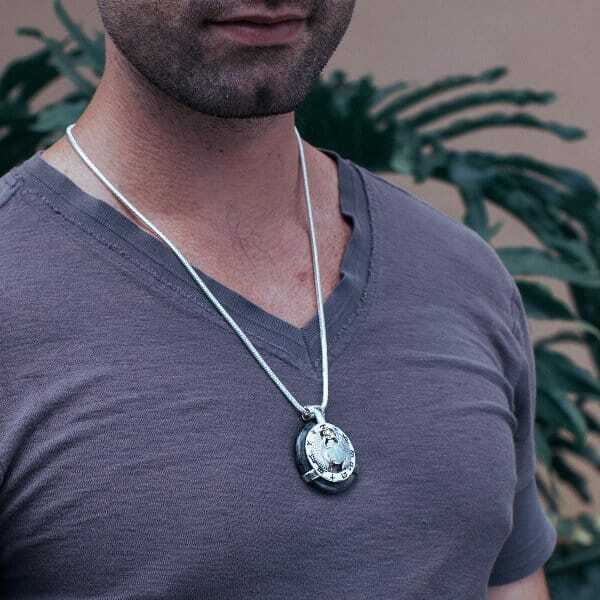 You can enjoy two magical and captivating looks with just one pendant. 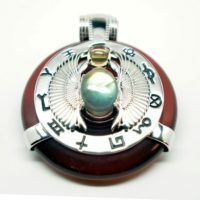 Many users prefer to have the scarab facing their heart center to allow for greater inner reflection and heart protection. 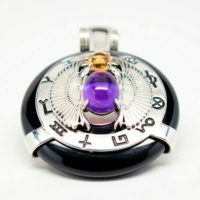 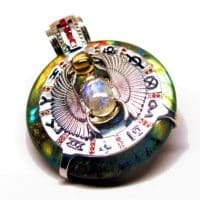 There are several symbols upon the facing that enhance the energetic and healing aspects of this illuminating pendant. 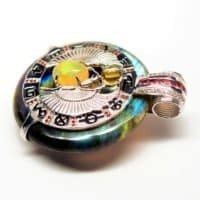 Discover the Meaning of the Tarot Symbols surrounding the beetle and to explore more about its ancient and modern uses as an Egyptian icon. 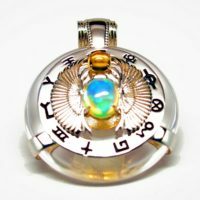 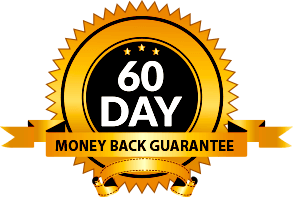 *** Three our powerful exclusive LightShield™ scalar wave frequency programs – The Sound of the Sun, The Sound of Earth, Shield My Aura, and can be customized with up to three additional frequencies. 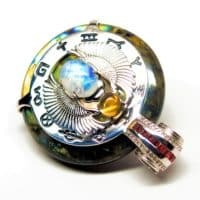 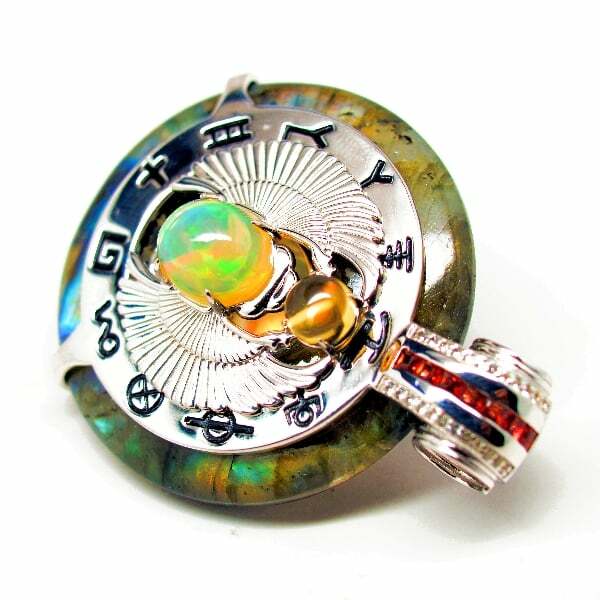 Be the first to review “Rainbow Labradorite w/Opal & Garnet – Scarab Egyptian (C004)” Click here to cancel reply.